I could stare at these all day. It feels to me like the energy of the song is right there. It's like the first one is when the singer first hits the scene (the club). The second one, he is now dancing (all night with this dj!). I find them very movingly harmonious!! These both are so beautiful, they have such a soft feel to them, and almost a pulse, like they are living. Both are very inspiring! Lovely. And interesting. As Rick says, it's definitely Maria's style, but seems darker (more shading?) than usual. Stunning! agree with Carol - could look at them both all day - they just keep drawing you in. 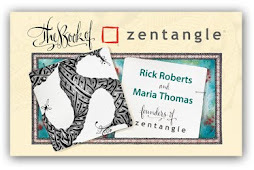 These are both truly fresh renderings of zentangles. They seem so alive with movement and breath. Just Wonderful!!! 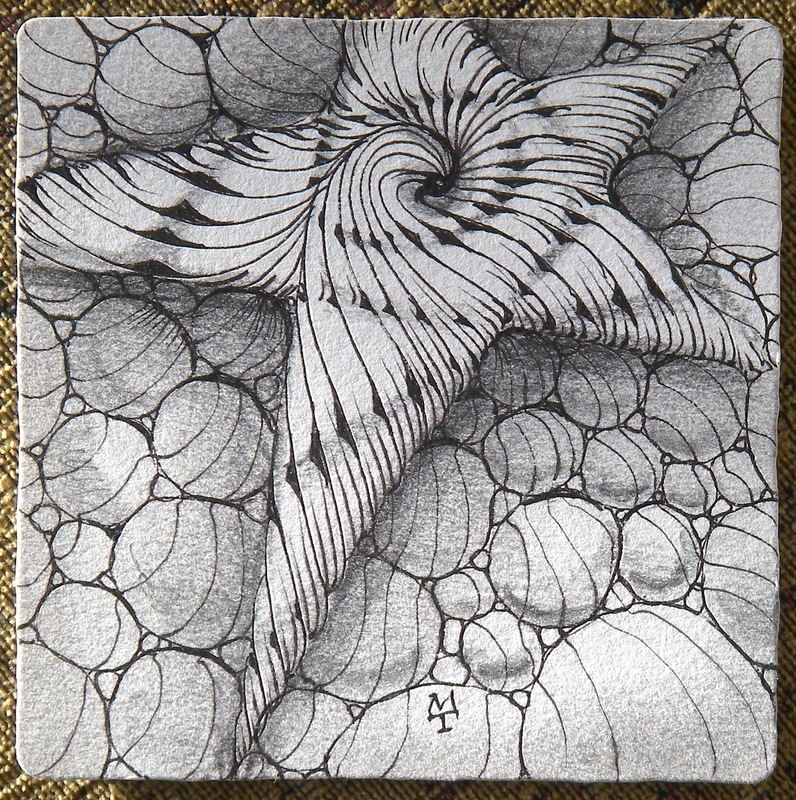 - while looking at the second one I can almost feel the energy of the universe surrounding the star as the forces move/surround/engulf/push/pull on the star in the center- it's Amazing the sense of emotion these zentangles bring out as I gaze at them. I felt the character of these tiles ~ a different energy effect ~ Beautiful ~ yet in a different way. 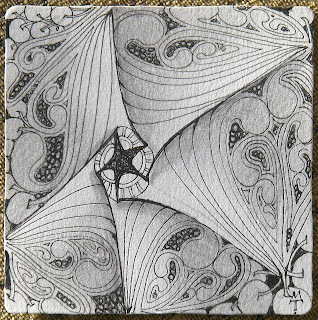 I often wonder why my tiles although similar in style can vary in character from day to day. 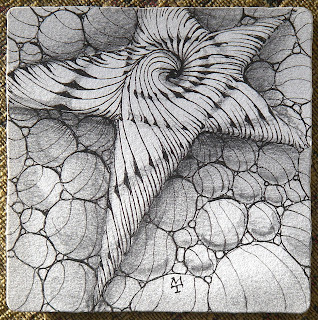 It appears that we tune in and resonate with our present moment and it is reflected in our art. 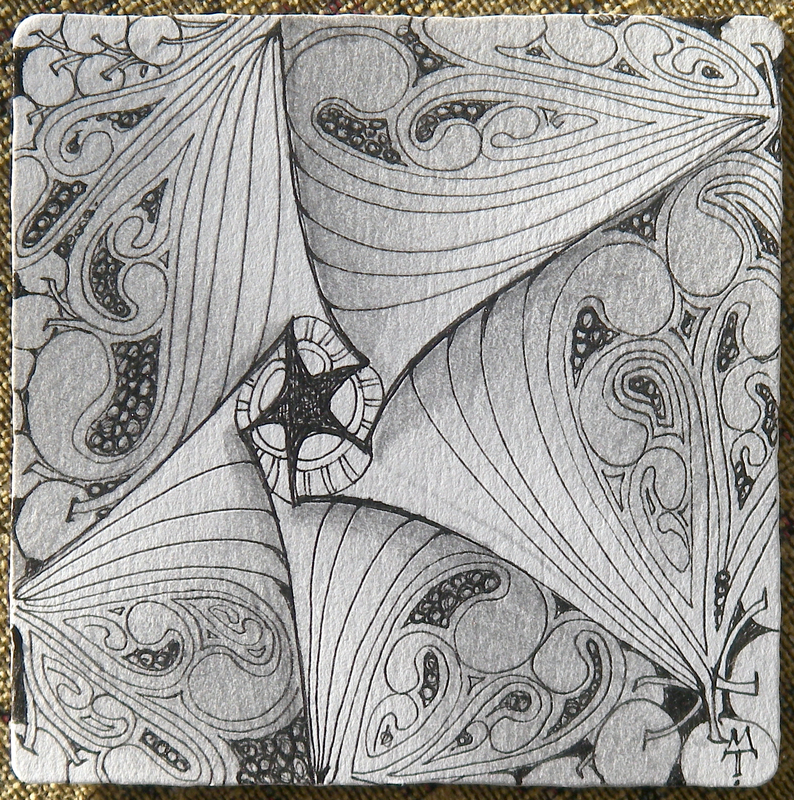 Some of the weekly challenges appear to kick my conscious or creative thinking mind into gear and reflect different images than when I do a traditional Zentangle process where my subconscious or feeling self takes the lead. I like best when I can bring into harmony my three selves: conscious/creative thinking, subconscious/memories&feeling and higher self/inspiration. Then I really feel in the flow. Oh gosh, your tiles are sending vibrations all the way to Tassie! Good grief...I'd missed these somehow...they are both gorgeous!